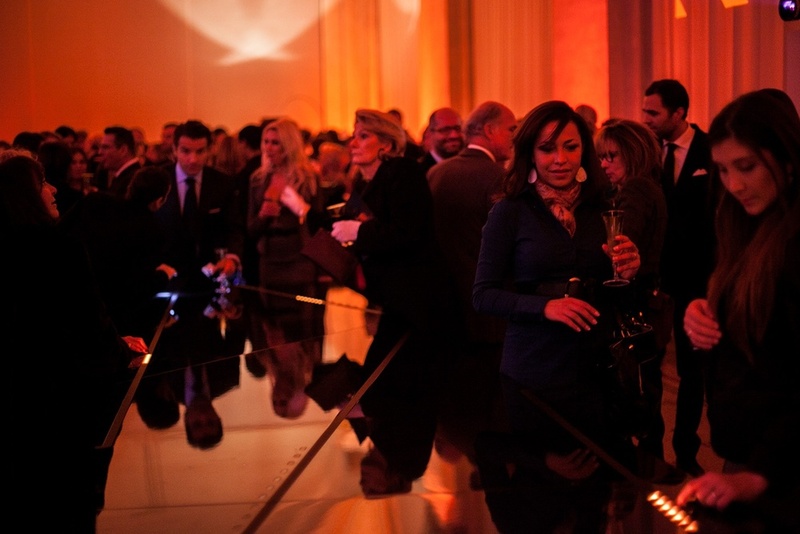 The Monolith was commissioned by Hermès for their headquarters’ launch party at the Musee D’Art et D’Histoire, Geneva. The interactive art piece was made up of a large glossy black monolith covered in LED strips and interactive sensors. The LED strips displayed an array of patterns and could be interacted with by touch. Guests could shoot light beams along the monolith, surprising people around them. Two large projections on the museum’s hall walls displayed Hermès inspired visualisations. The visuals were controlled by guests touching the monolith. The interactive art piece acted as a central control system for the environment of the room.